“Labyrinth of Lies”: What did you do in the war, Vater? “Labyrinth of Lies” opens Friday at Sundance Cinemas. R, 2:04, two stars out of four. The terrific drama “Phoenix” showed us a post-war Germany in moral as well as physical ruins, where Nazis and Jews alike longed to slip quietly back into their old lives and forget what happened, only to find that was impossible. The crimes committed were too vast, the betrayal of one countryman by another too great. “Labyrinth of Lies” at times feels like the Hollywood version of that same theme, with a hard-charging attorney battling his superiors to uncover the truth of what happened in places like Auschwitz and bring the Nazi perpetrators, who have slipped seemlessly back into German society, to justice. 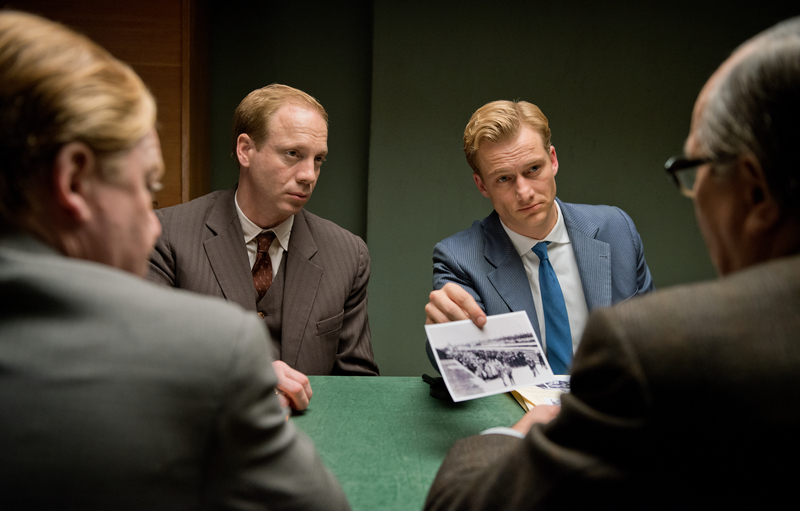 The year is 1958, and attorney Johann Radmann (a composite of several real-life lawyers, played by Alexander Fehling), takes the case of a Jew who recognized one of his former concentration camp guards on the street. None of the other prosecutors will touch the case; Germany has convinced itself that it has healed, and Radmann’s crusade will only reopen old wounds. “Do you want every young boy to ask his father if he was a murderer?” one higher-up asks. “That’s exactly what I want,” Radmann responds. Radmann pulls in small fish, former Nazis who have become schoolteachers, butchers, mechanics. As he interviews survivors and hears their horrendous stories, he starts to zero in on Auschwitz, and in particular Dr. Josef Mengele, who conducted nauseating torture “experiments” on women and children at the camp. Radmann has an ally in the attorney general (Gert Voss), who also believes in shining a light on these crimes. But Nazis like Mengele are well-protected in powerful circles. It’s an interesting, lesser-known angle in which to view post-war Germany, but director Giulio Ricciarelli (who co-wrote the screenplay with Elizabeth Bartel) tries to shoehorn messy, widespread tragedy into a tidy one-man-against-the-system narrative. At every step, we know Radmann will run into an obstacle, whether it be an obstructive official or a criticizing member of his own family. And we know that, after a bit of soul-searching, he’ll press onwards. There’s even the obligatory scene where somebody throws a rock through his window. 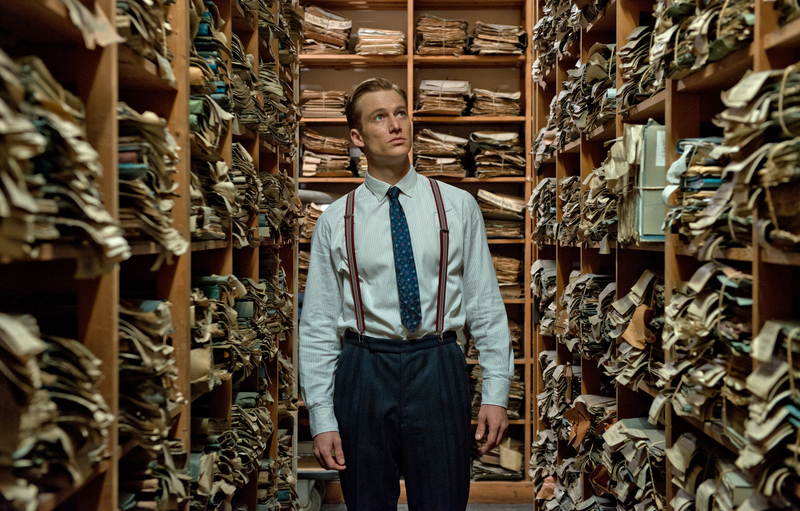 As based-on-a-true story films like this tend to do, “Labyrinth of Lies” shifts its attention from real events to the emotional arc of its hero, as Radmann becomes overwhelmed with how Nazis seem to be hiding behind every corner. A scene where he begins accusing random strangers on the street of war crimes is not the movie’s finest hour. I understand the need for such an arc, but it risks trivializing the real-life horrors that survivors endured to make a film about how a German prosecutor will cope with hearing about those stories. The film is certainly well-meaning, moving at times, and is beautifully shot (almost to a fault, given the subject matter). It’s just surprising that a film called “Labyrinth of Lies” would be so straightforward and predictable.